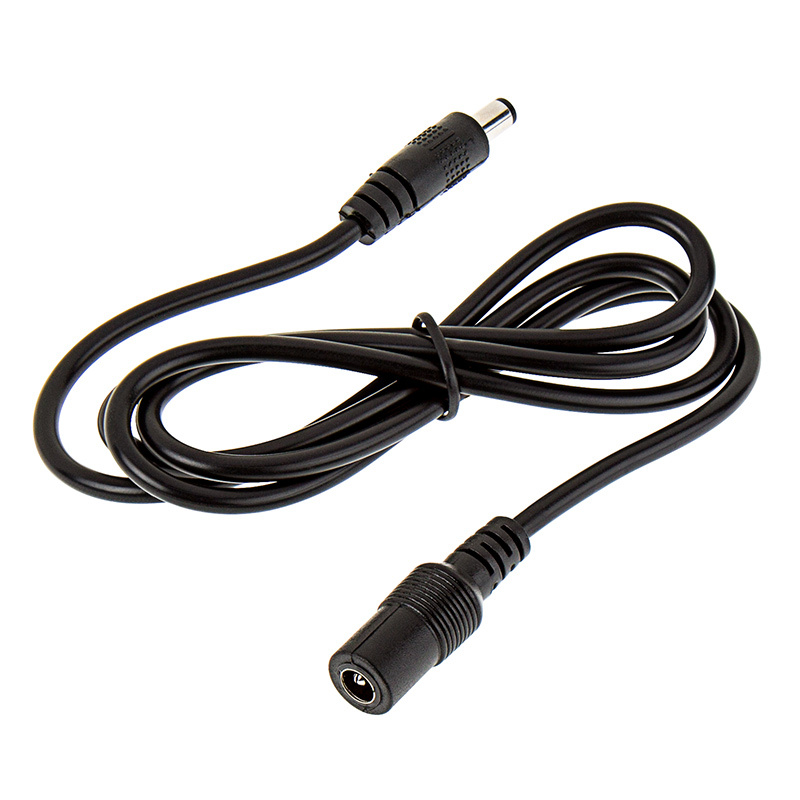 CPS-EXTx extension cable for CPS power supplies or BPS-12VDC-x battery power supplies with 5.5mm barrel connector. 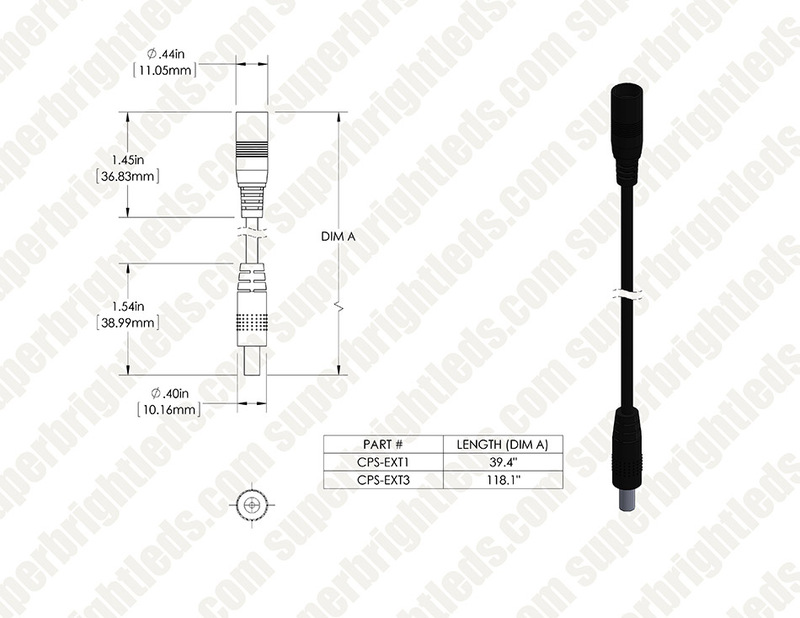 Available in 100cm(39.3in) or 300cm(118in) length and is for low voltage DC cables. Its an extension, but no positive lock to the load or power source, they can vibrate apart, kind of cheap made, but if taped or heat shrink is used to hold them together, they work ok. I bought three sets of these products. When combined with the CPS-PT pigtail, the connection between the two is a poor fit. The connection is unreliable so the lights don't remain lit. Not much to say. If you need this extension it works well, is made well and works. A quality extension at a dollar store price. easier to run through cabinets! 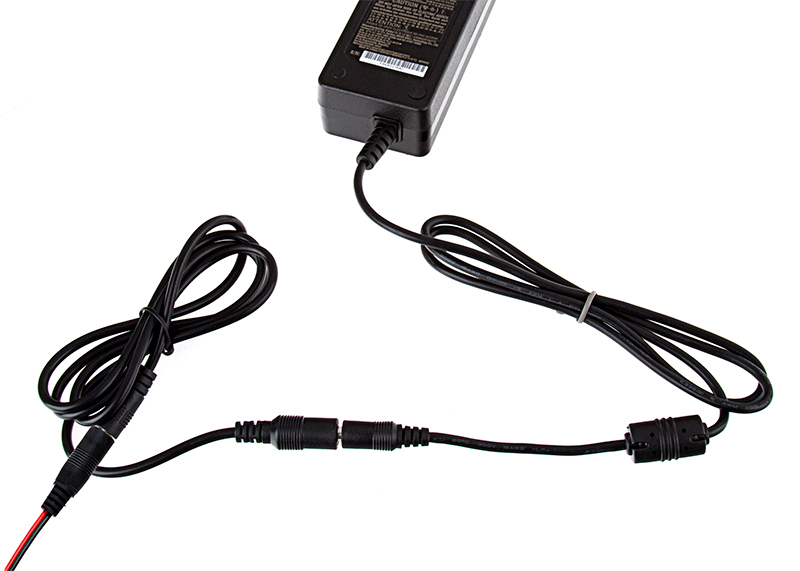 It takes out the need to have a power supply with a long tailing lead. It also helps shorten other items or if you need to place a switch located further away from your light source or from your power supply since the power supply is fixed based on a wall receptacle.